I can't wait to listen to this again! 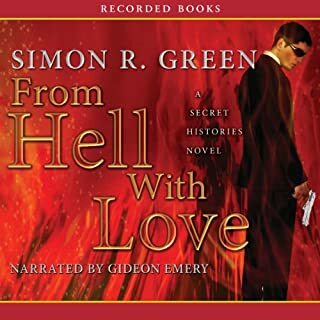 Would you consider the audio edition of From Hell with Love to be better than the print version? I love the print version, but this narrator is absolutely wonderful. The depth he brings to the characters is amazing, not to mention the perfect timing for Simon R. Green's humour. Eddie and Molly's interactions just keep getting better. Which character – as performed by Gideon Emery – was your favorite? I had a geeky girl crush on Eddie Drood before, but now I am totally in love. 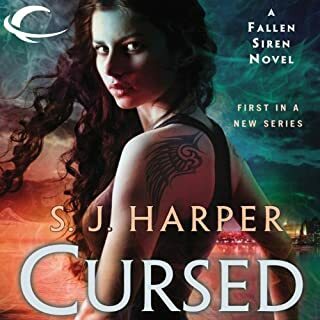 I laughed at a good amount of the book, sat on the edge of my seat for all the action, and the ending distressed me so much I could hardly wait for the next book! I am a long time fan of Simon R. Green, and I love how he takes each series he writes and intertwines them.